Give in to the temptation of subtle elegance with the men’s watch 205G108 and its silver milanese stainless steel bracelet. 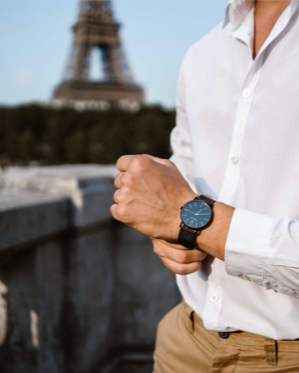 Discover the men’s watches by Pierre Lannier and find your dream timepiece among our creations. With the Spirit collection, your watchmaker offers you distinguished chronographs models with an irresistible vintage design. Don’t hesitate any longer and indulge yourself without delay! Fit your watch's Milanese mesh bracelet to your wrist size with our downloadable instruction manual. très belle montre, élégante et fonctionnelle, aucun regret de cet achat. You bought Men's watch Spirit 205G108 Silver milanese steel on .